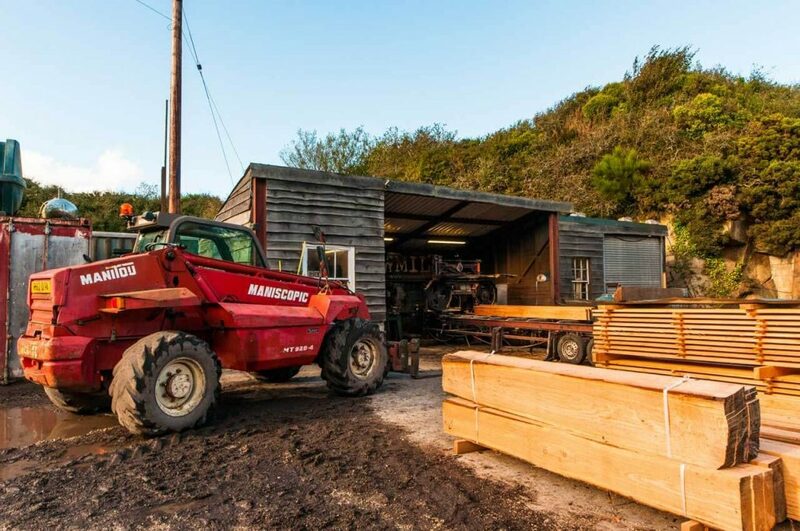 Providing high quality timber, sourced and sawn carefully to your specification. 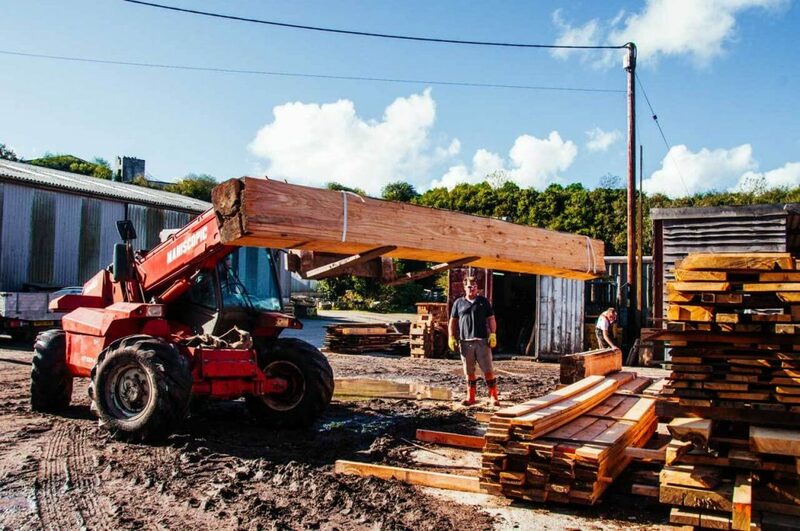 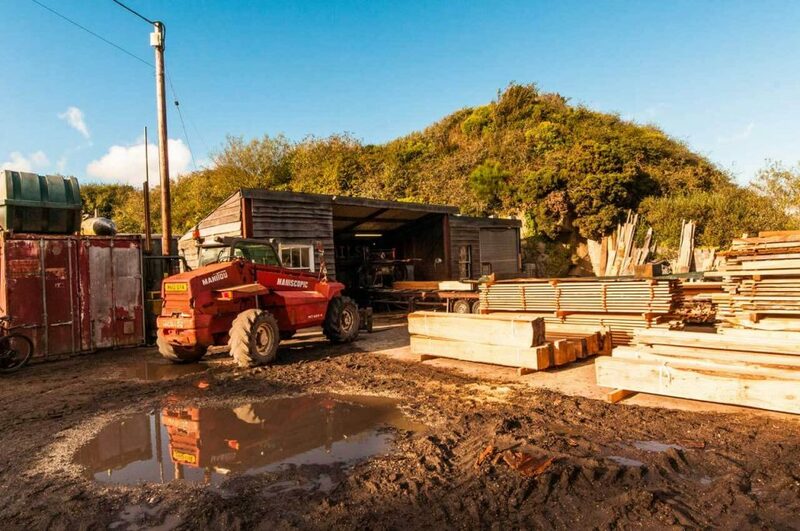 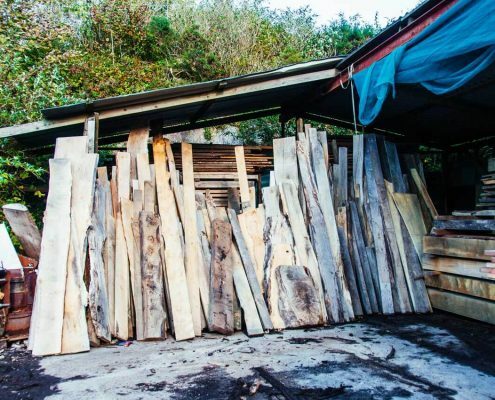 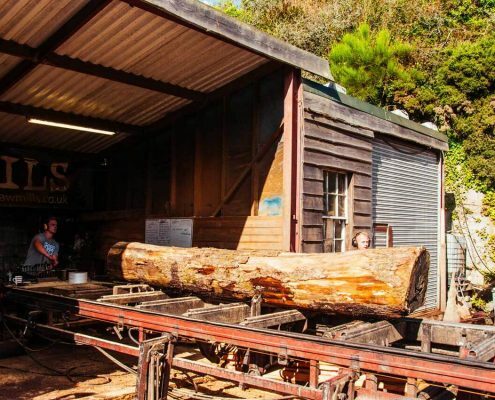 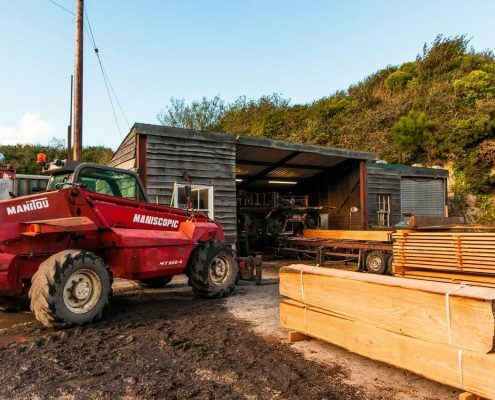 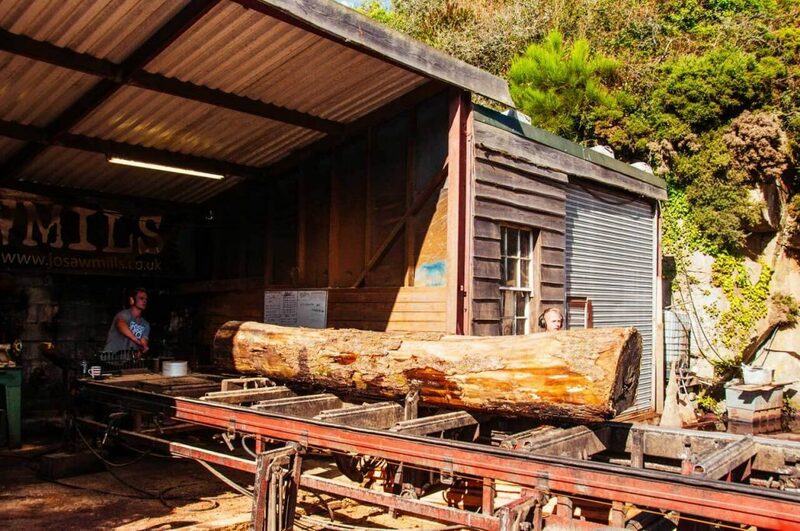 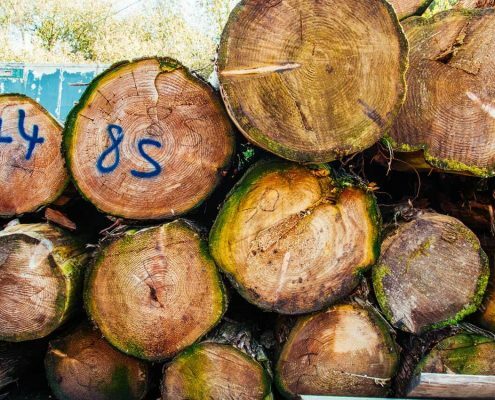 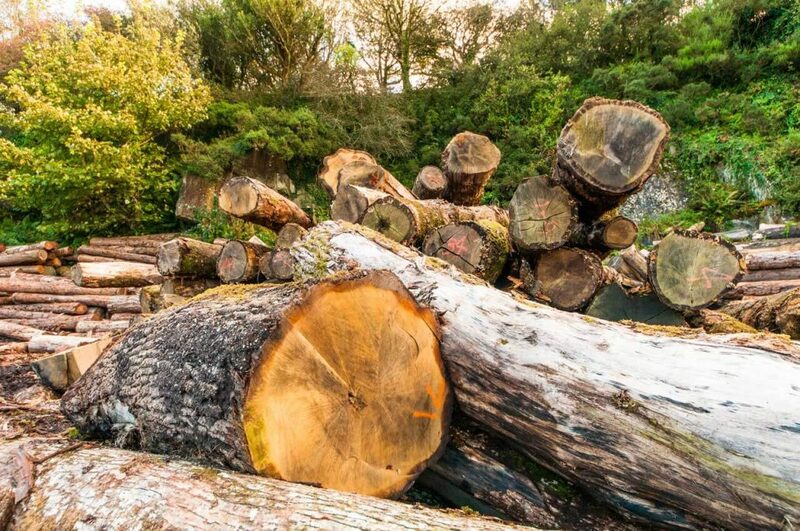 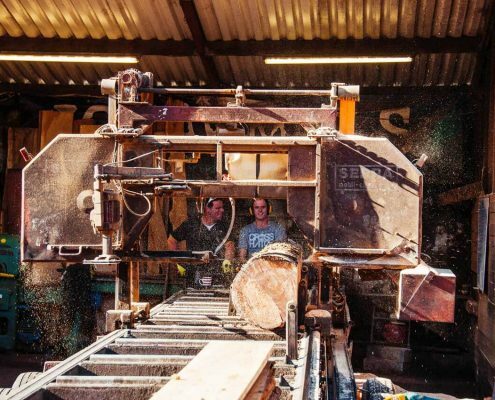 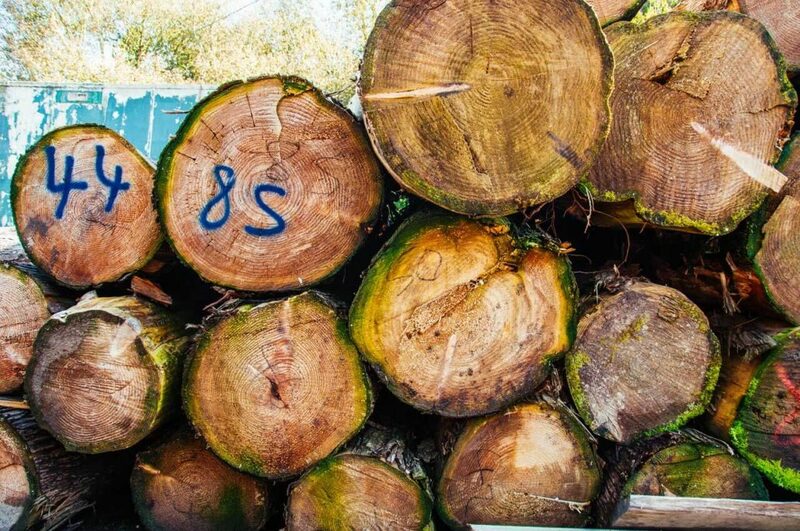 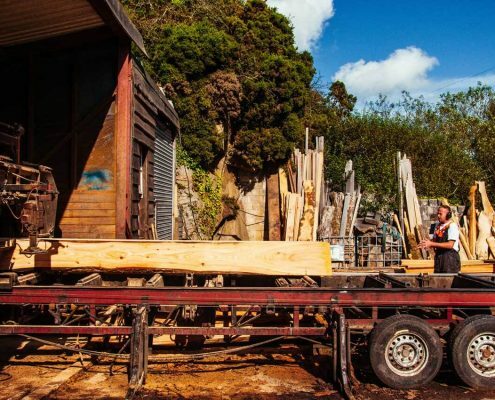 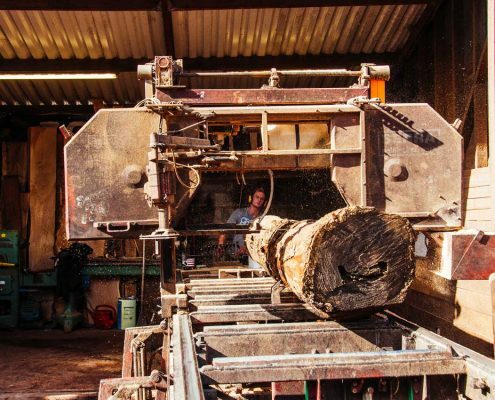 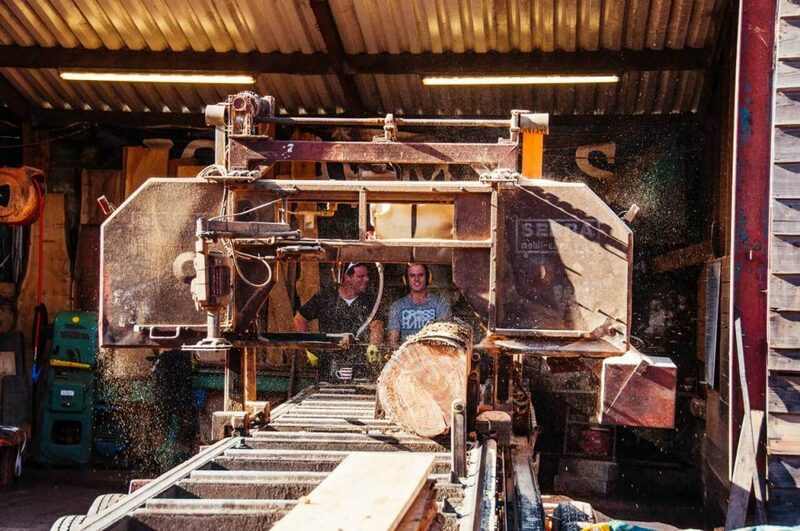 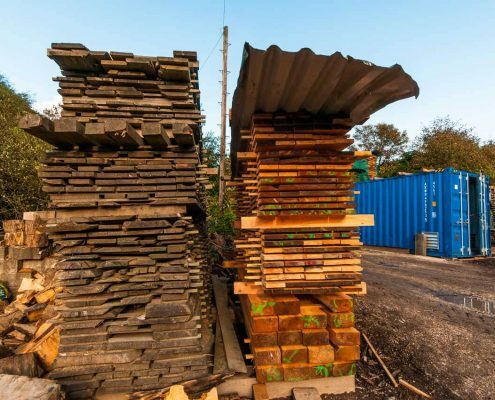 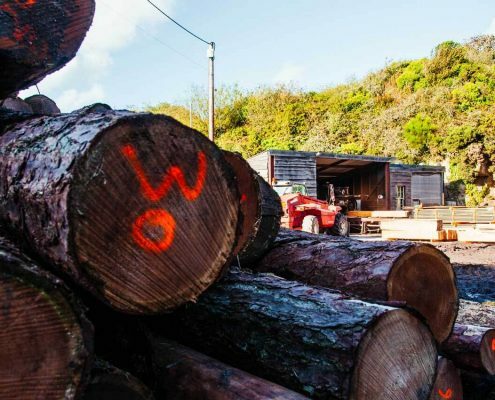 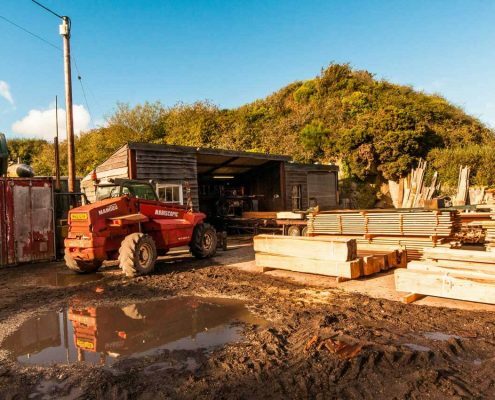 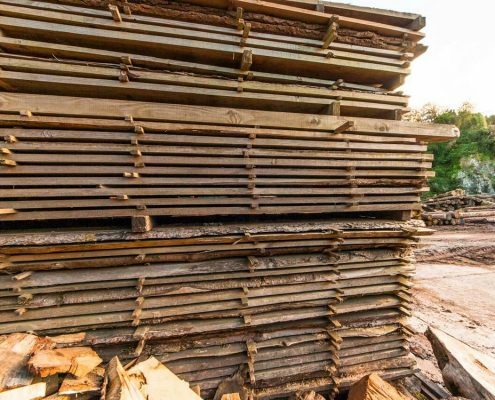 JO SAWMILLS is a pro-active provider of high quality timber. 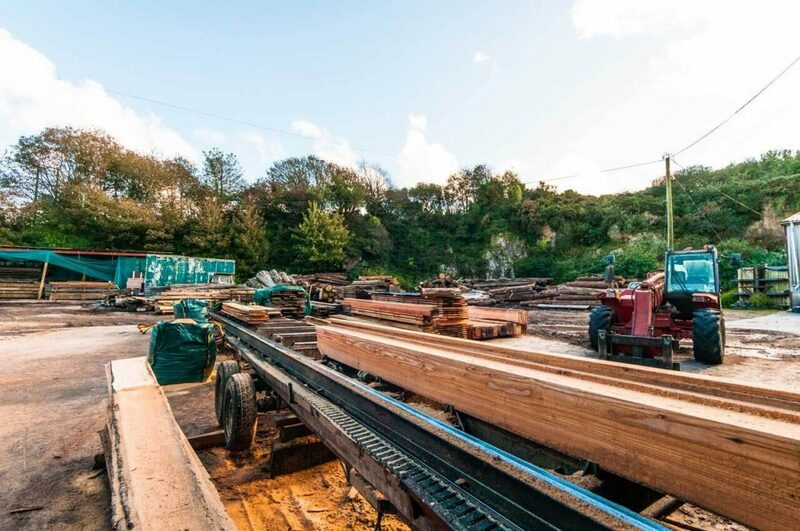 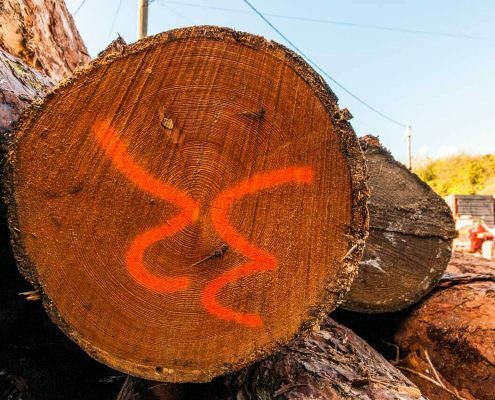 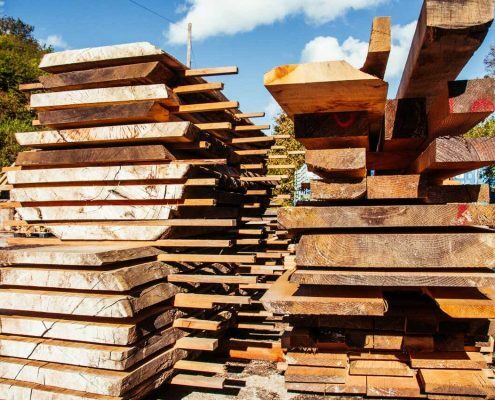 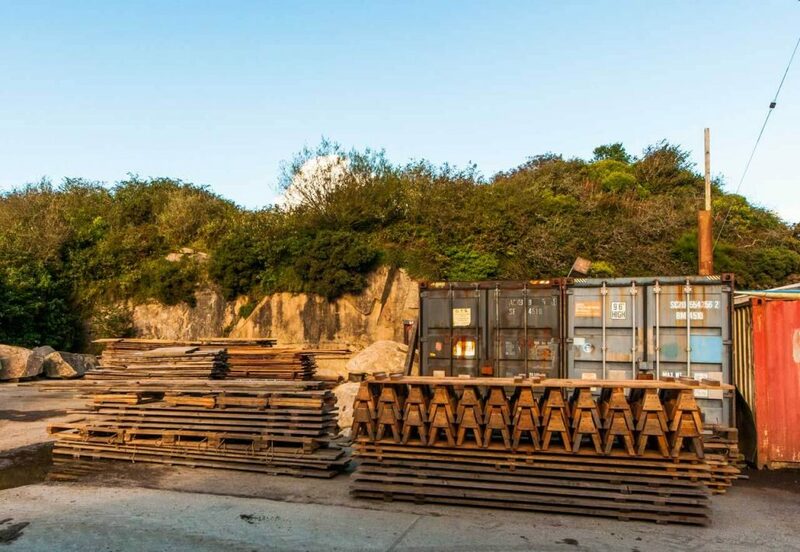 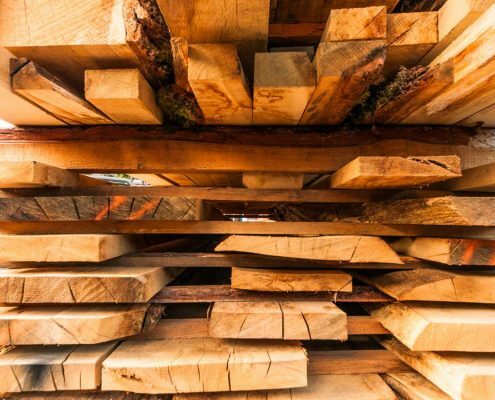 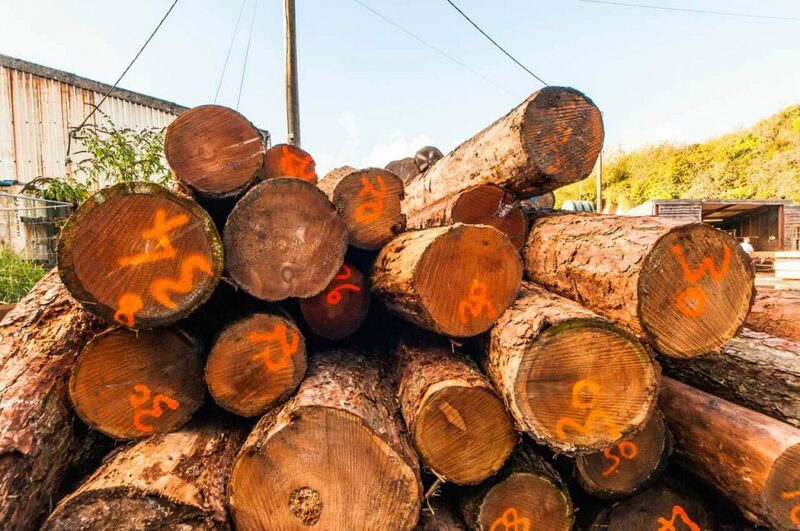 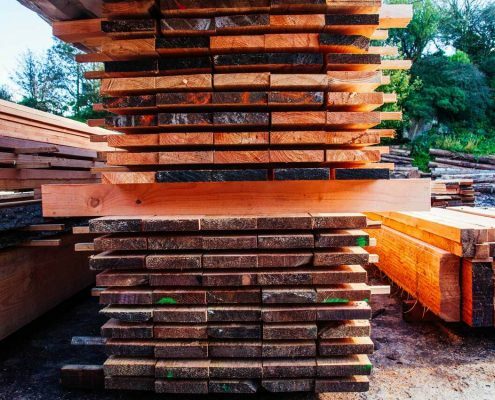 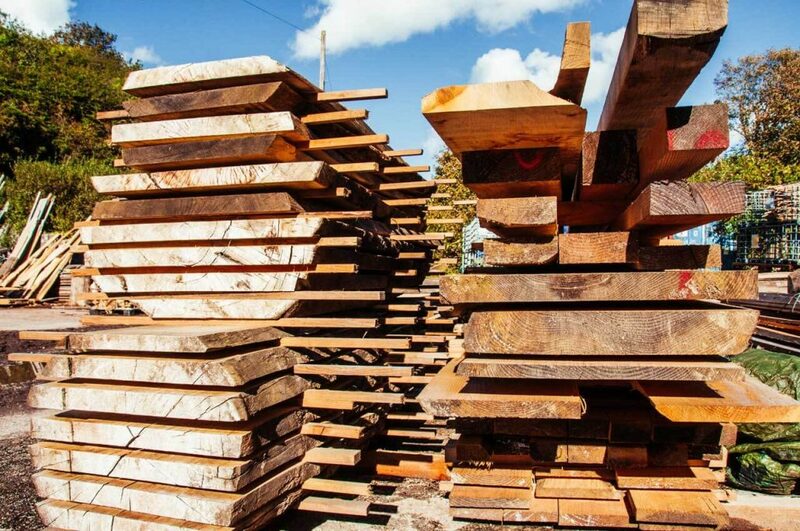 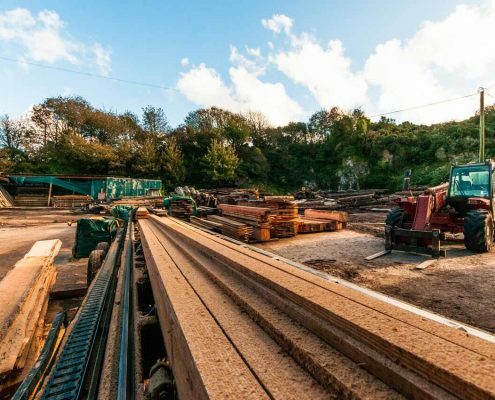 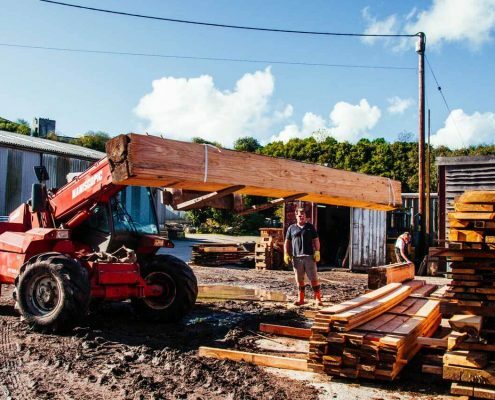 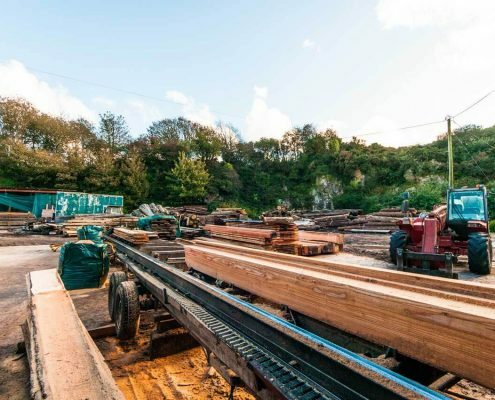 We ensure your timber is sawn to your required size, making the most economic use of the wood supplied. 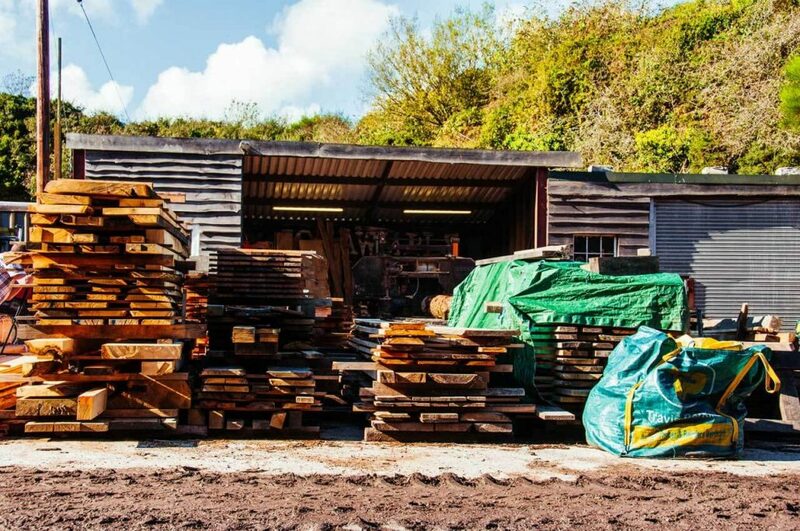 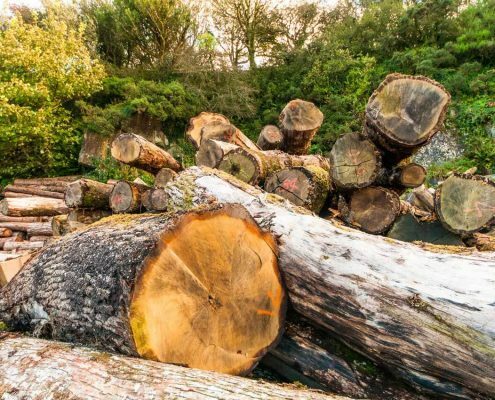 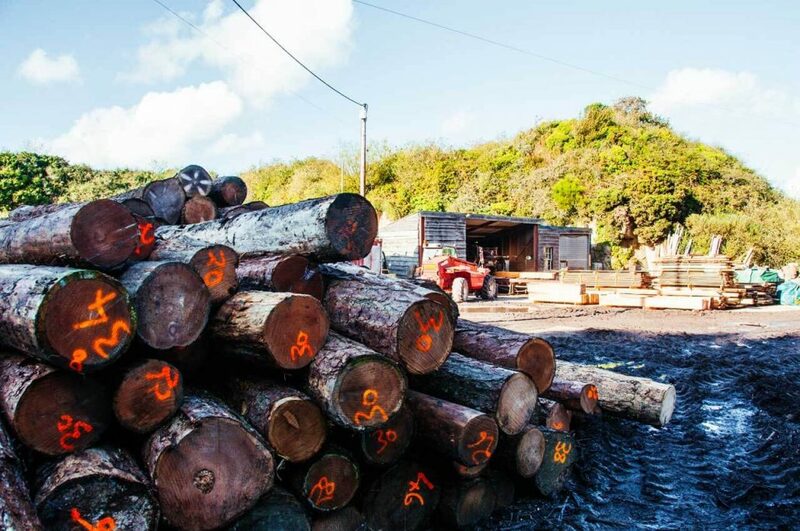 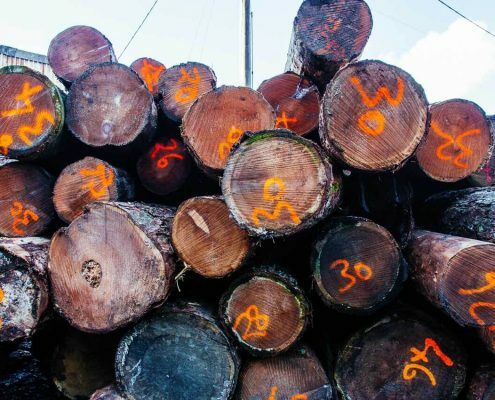 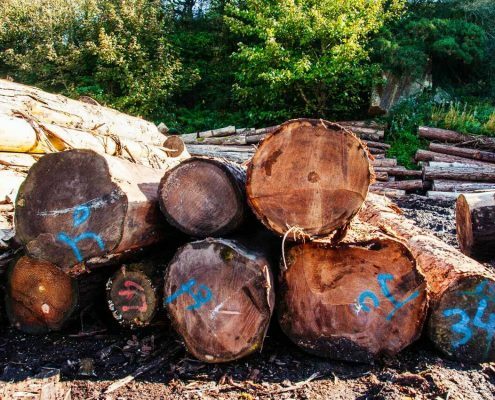 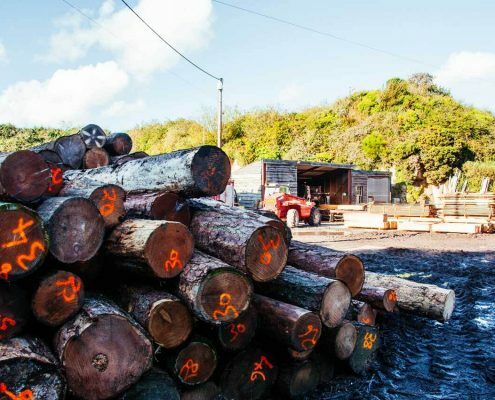 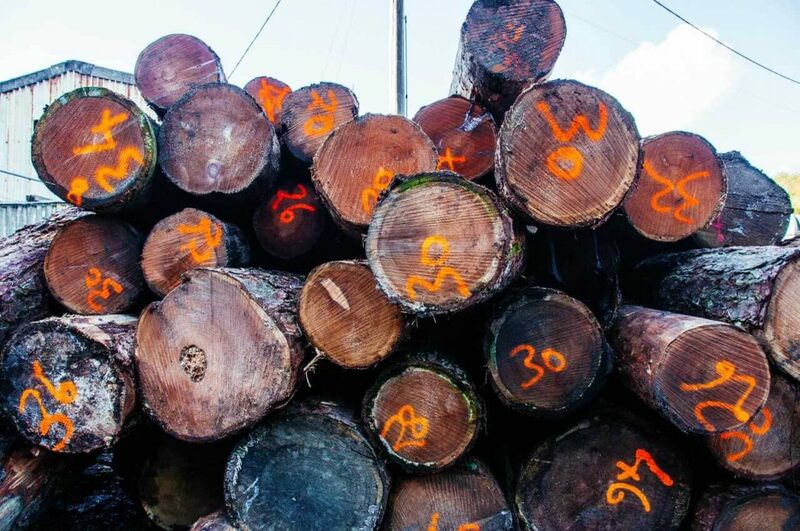 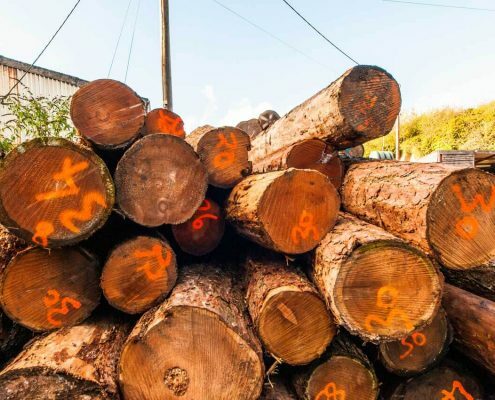 Our wood is sourced extremely carefully as we are conscious that timber is precious natural resource and supports protecting the environment for our future. 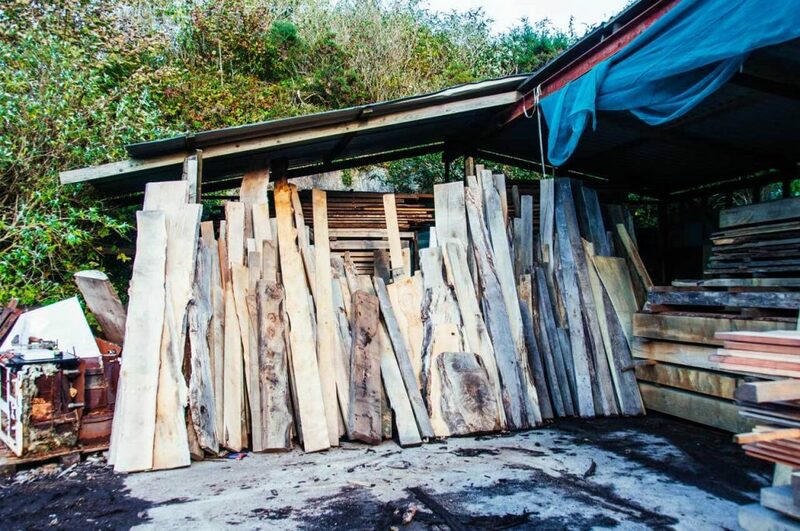 With great knowledge of the trade, we can advise the most suitable stock for you and then source the best available. 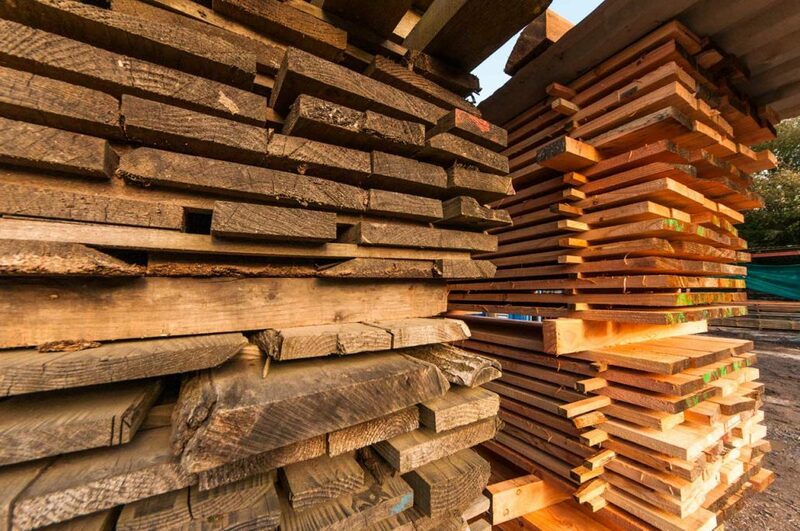 Green Oak is the wood most commonly used for finer, more durable furniture. 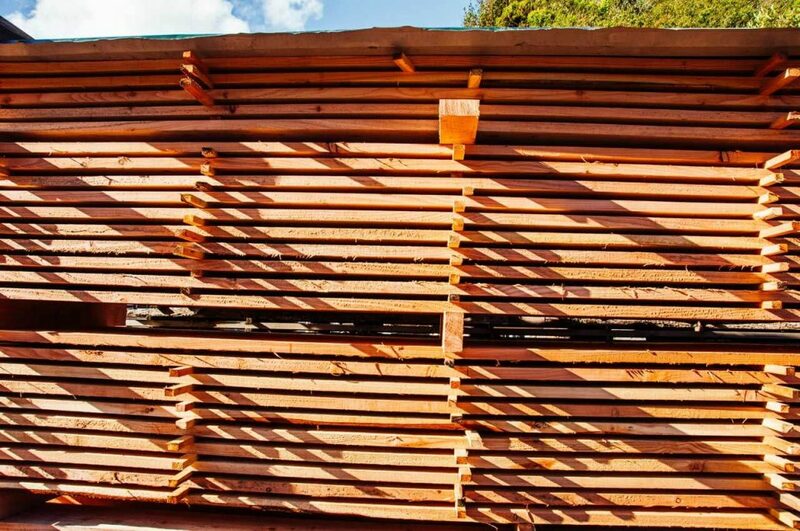 It is a very hard, heavy, open-grained wood. 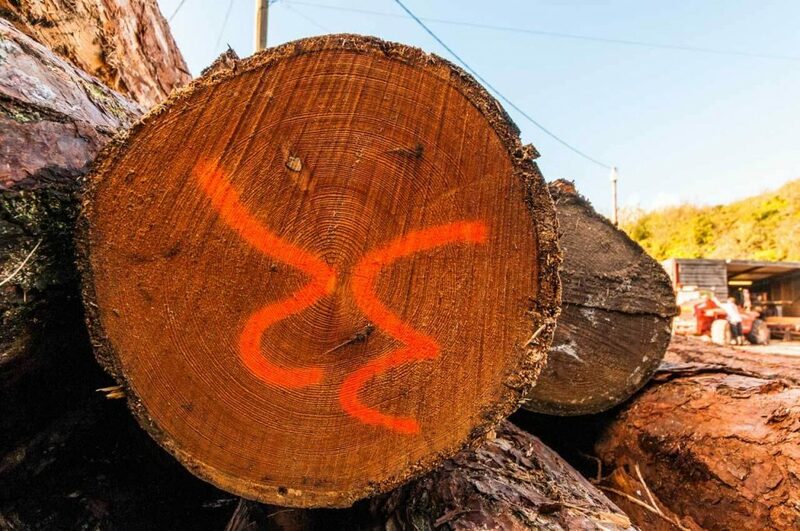 Shock-resistant and durable, it’s resistant to contact with moisture. 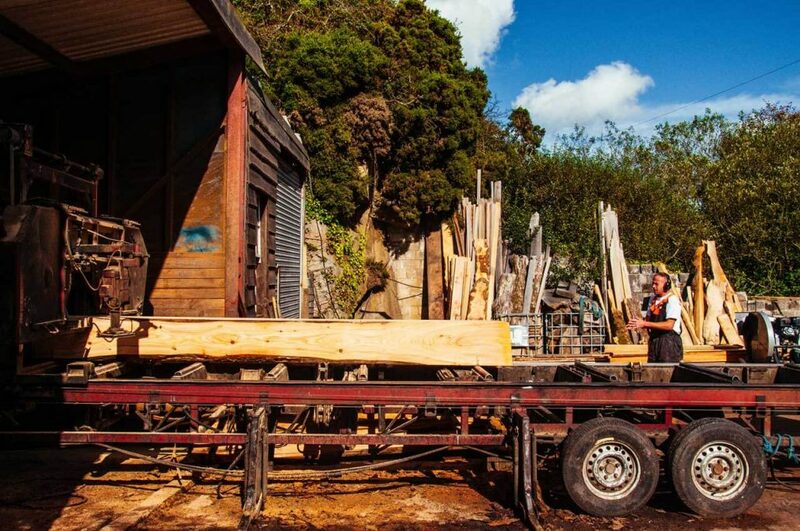 Oak lends itself well to architectural and building uses, such as timber frames. 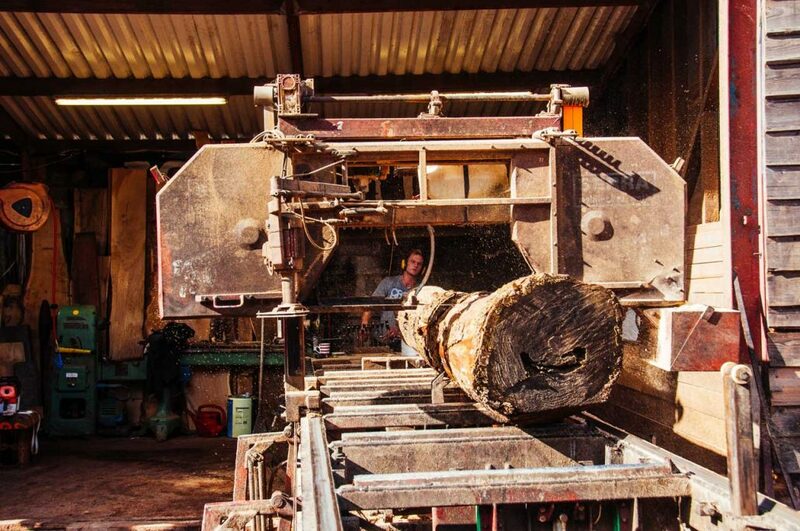 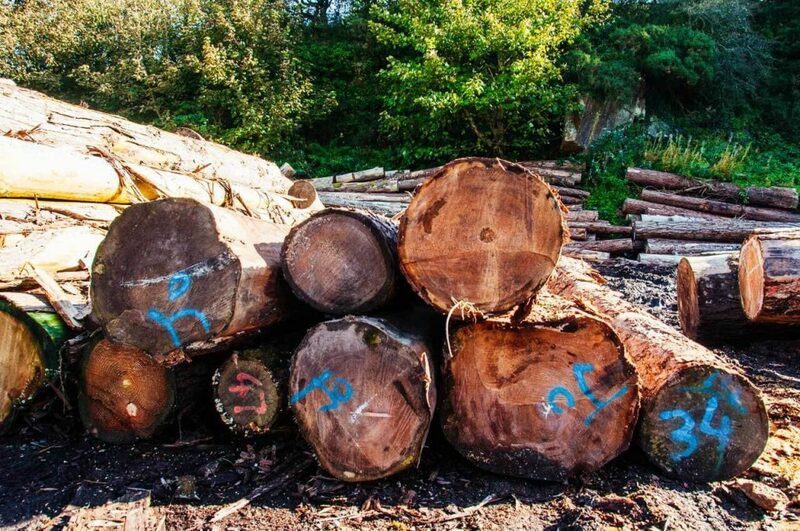 Wherever possible our we source the Oak locally and from well managed FSC approved forests. 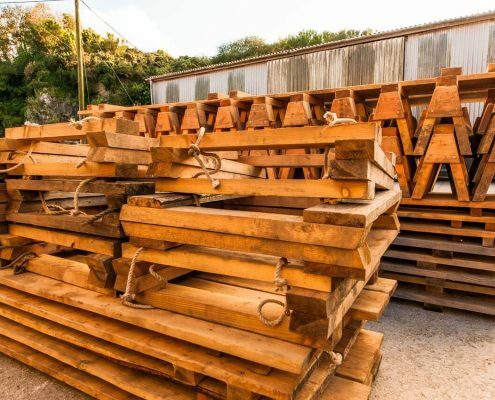 Larch is a wood valued for its tough, waterproof and durable qualities; top quality knot-free timber is in great demand for building yachts, small boats, and primarily for exterior cladding of buildings and interior panelling. 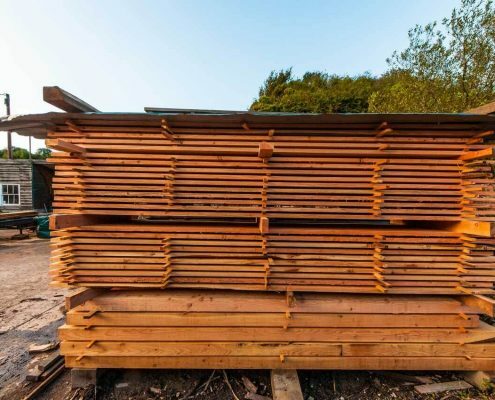 The timber is resistant to rot when in contact with the ground, – perfect for use as posts and in fencing. 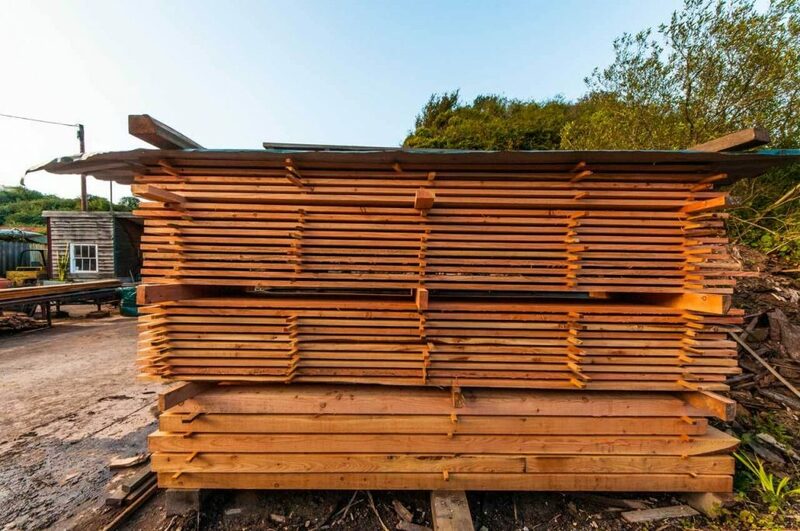 Larch is so durable that it does not need to be tanalised, so is far better for the environment, requiring no chemicals! 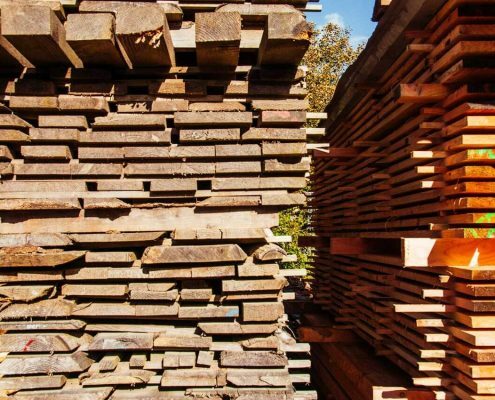 Chestnut is of the same family as oak, and likewise its wood contains many tannins. 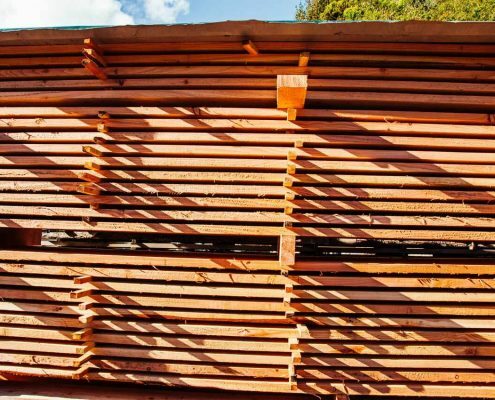 This renders the wood very durable and gives it excellent natural outdoor resistance, and saves the need for other protection treatment. 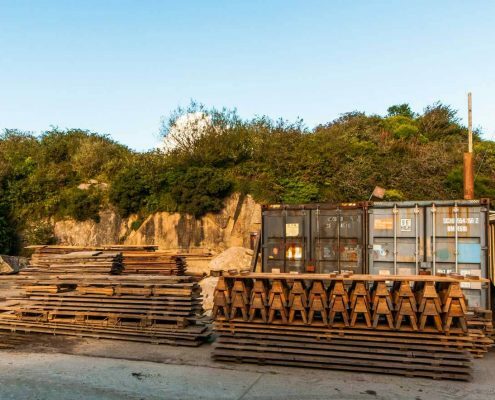 It also corrodes iron slowly, although copper, brass or stainless metals are not affected. 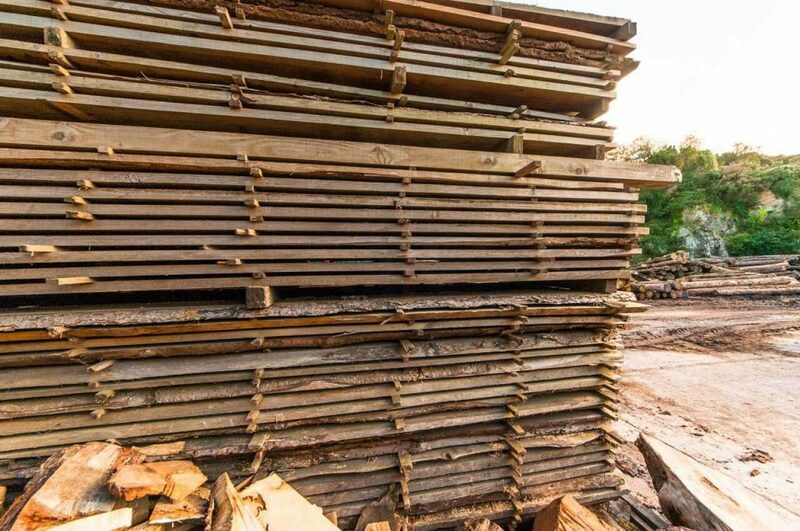 Chestnut timber is decorative. 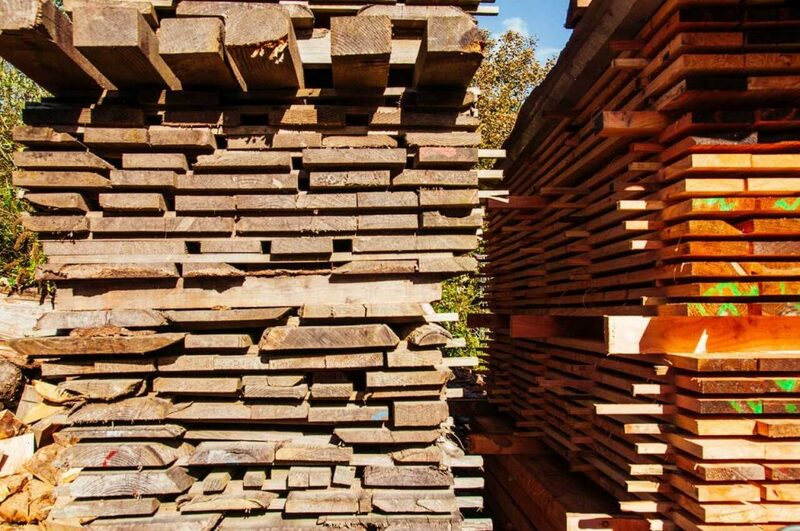 Light brown in color, it is sometimes confused with oak wood. 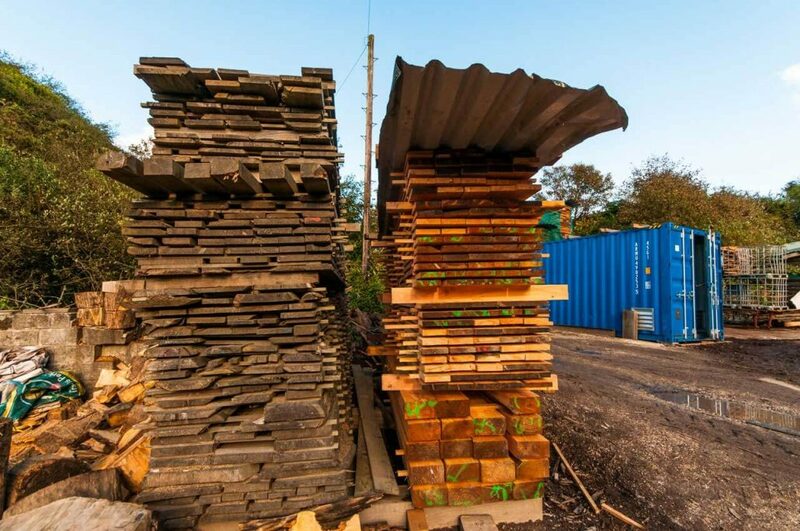 Both woods’ textures are also similar. 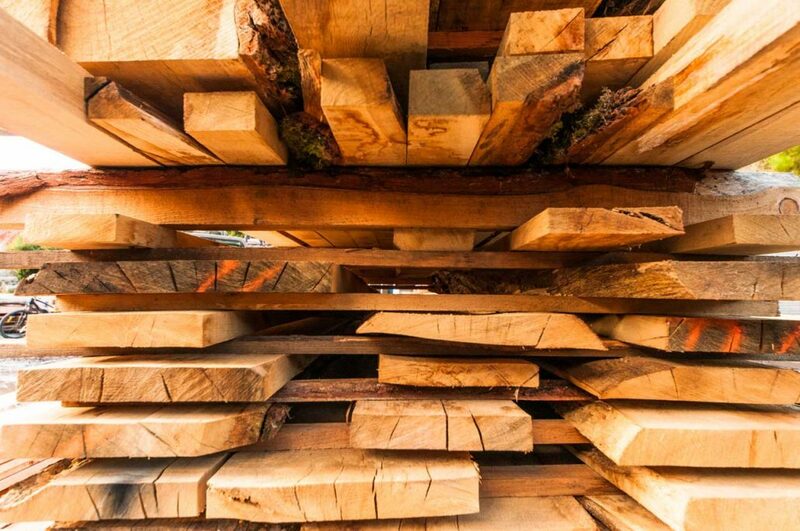 When in a growing stage, with very little sap wood, a chestnut tree contains more timber of a durable quality than an oak of the same dimensions. 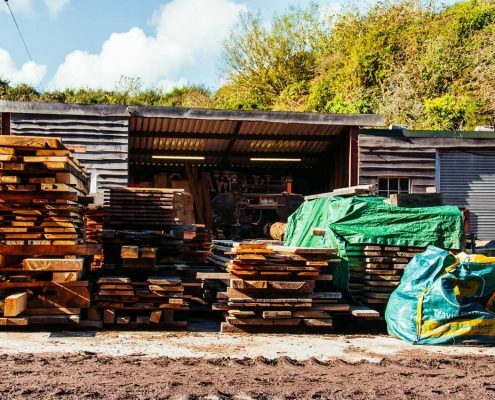 Young chestnut wood has proved more durable than oak for woodwork that has to be partly in the ground, such as stakes and fences and similarly great for outdoor tables, cladding and decking. 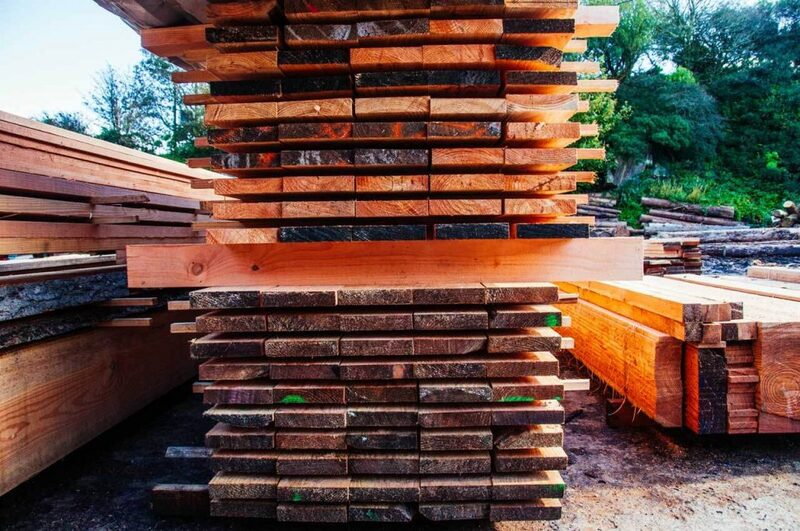 Douglas-fir wood is used for structural applications that are required to withstand high loads. 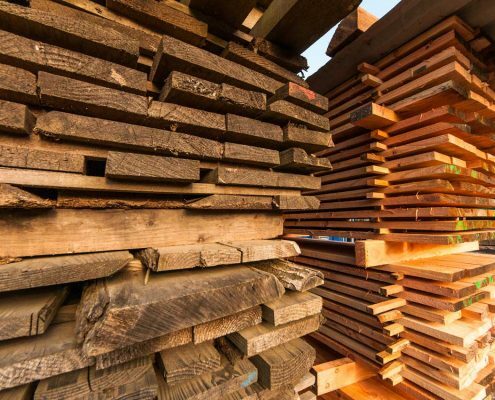 It is used extensively in the construction industry and is more stable and predictable than Oak. 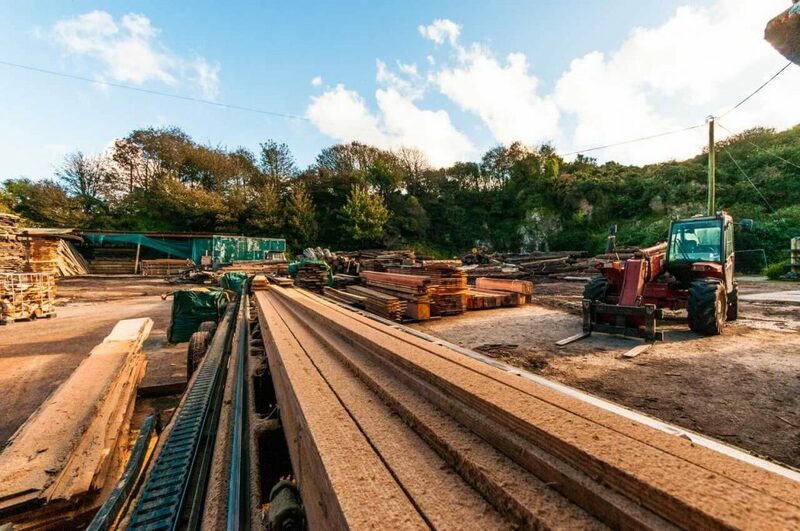 It is widely available so easily sourced, initially it is a pinky orange colour that then deepens to a darker colour over time, this works particularly well when combined with steelwork. 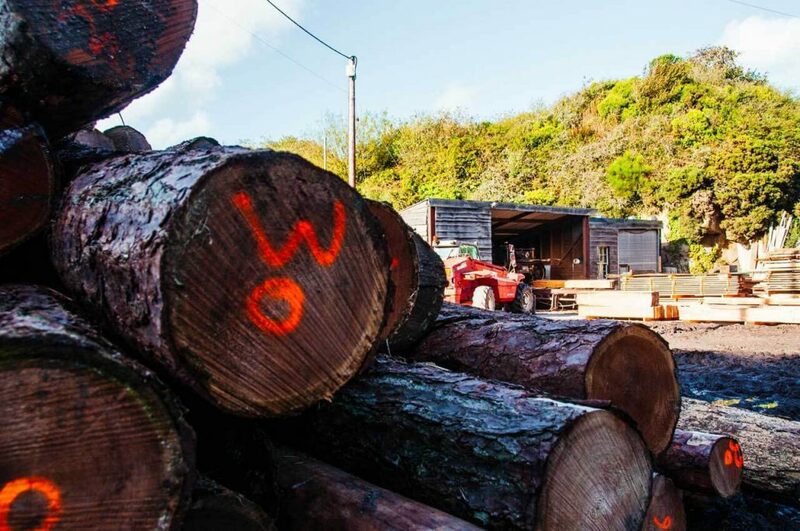 We’ve had a delivery of 52ft Douglas Firs from Gunnislake. 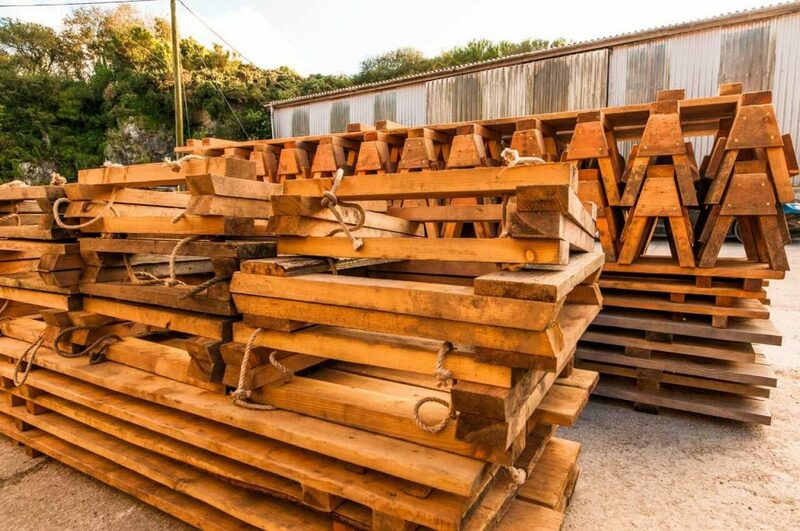 110 years old… Destined to be ship’s masts.